Hello and welcome to our site. 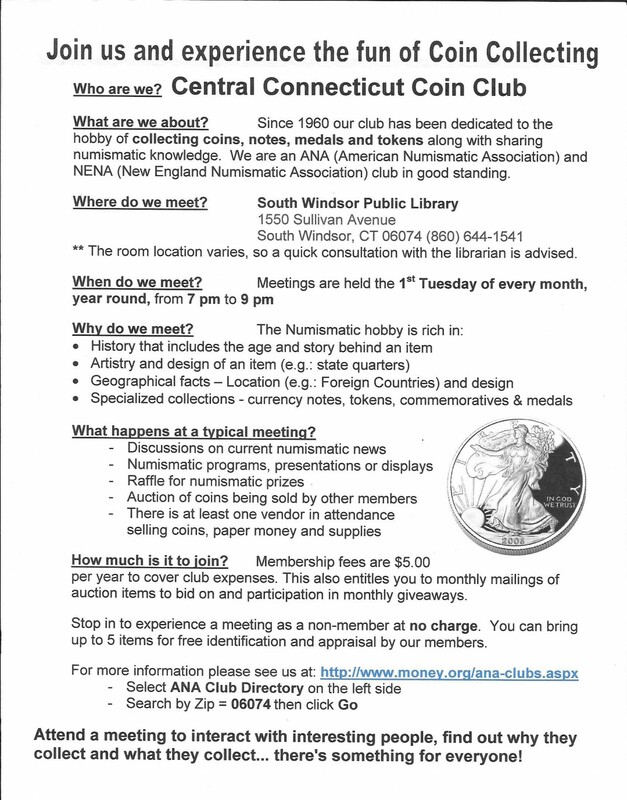 Join us Every first Tuesday of the month at the South Windsor Public Library! We meet at the South Windsor Public Library.